Failed 198. Tried to SC it. Couldn’t stand up with it. Thanks for lifting with me Sydney! Jason and Jake were tearing it up in this pic and again at 5am this morning. Way to work those deads today CFJ!! 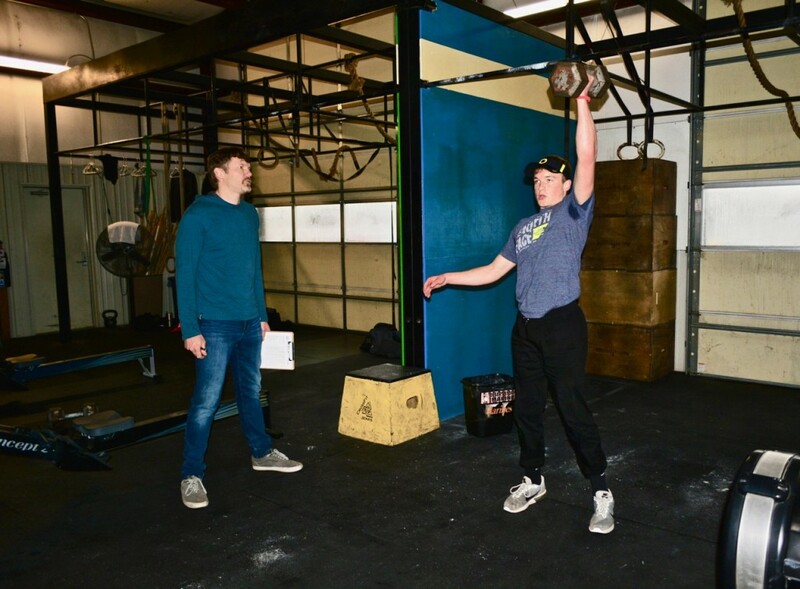 Finally able to do the Open WOD 18.2. I did use two 53lb KettleBells in front rack. – 3rds + 52 (2 MU short of 4rds) hit the MU wall. Core development: ghd sit-ups & ext.